If I take my kid to the store and allow him to pick a treat, 9 out of 10 times he’s going to pick something gummy. One time the only gummy thing he could find was Sour Patch Kids and even after I warned him that they were very sour, he had to have them. Good lord, that was not fun once he realized just how sour they were. When I came upon this fun gummy candy recipe, I knew I had to get the kid to help me make it. It was very simple – the hardest part was locating a candy mold because it seems Michael’s is the only place in town that carries them! There wasn’t much for kids to do except stand but my kid enjoyed watching the process and loved eating them! Place water in a small sauce pan. Sprinkle the Jello and unflavored gelatin over the water. Let sit 5 â€“ 10 minutes. Peel the gummy candy out of the molds. Donâ€™t be shy, you wonâ€™t hurt them when peeling them from the molds. No need to oil the molds! 9 Responses to "Gummy Candy"
what a neat idea! I never even knew you could make your own gummy candy. How do they taste compared to what you can buy at the store? .-= megan´s last blog ..Spinach Orzo Salad =-. They pretty much tasted like cherry jello, just gummier. And they were much sweeter than most gummy bears I’ve tried – my kid loved them though! I like your son because I love all things gummy. Wish I had one of these stars right now. .-= Eliana´s last blog ..Honey Vanilla Pound Cake =-. Daniel won’t touch anything gummy at all…I remember these from when I was little, someone’s Mom made them for our class & I thought it was neat to eat your jello by hand! .-= Pam´s last blog ..Southern Pea Salad =-. 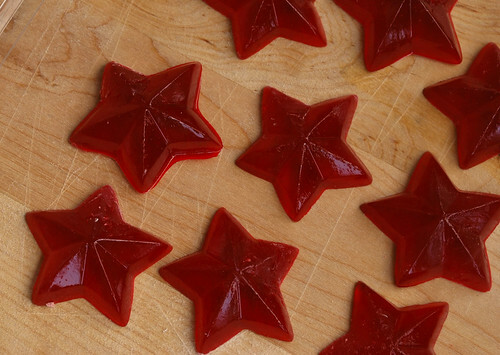 Homemade gummy candy is great. My friend and I made them together and it was a fun experience. She went on to experiment with flavors and juices. 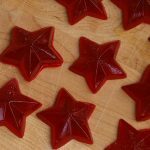 Like she made a batch with cranberry juice- made stickier gummies but tasted really good. .-= Nicole´s last blog ..Audi Best Buddies Challenge =-. I am a gummy kid myself. When present with chocolate or gummy lollies. I will always choose the gummy ones. Red frogs are my fave. The photo of your son eating the gummy stars is the money shot! .-= Amy @ cookbookmaniac´s last blog ..Bitton Gourmet â€“ Cafe and Grocer =-. This has been stuck in my mind for days now, I must make it soon! 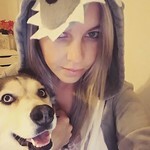 .-= Breige´s last blog ..I have some stalkersâ€¦ =-.